$695.00 per night for up to 14 guests. Are you looking for the perfect, self contained home to share with family and friends for that special holiday or celebration in the beautiful Barossa Valley? The Coffee Palace is a stunning, historic home, providing all the modern comforts, a convenient centre of village location and charm and atmosphere to create wonderful memories. Built in 1855 as a large country hotel, the building has been refurbished to create an elegant atmosphere without too many frilly bits and loads of space for your to share. Areas for your exclusive use include - multiple living rooms, huge games room with pool table, two kitchens (one perfect for cooking up a storm with chefs oven, all appliances and utensils) comfortable lounge and dining room with massive dining table, wonderful outside decks, verandahs and balconies and great outdoor space in lovely, private gardens. 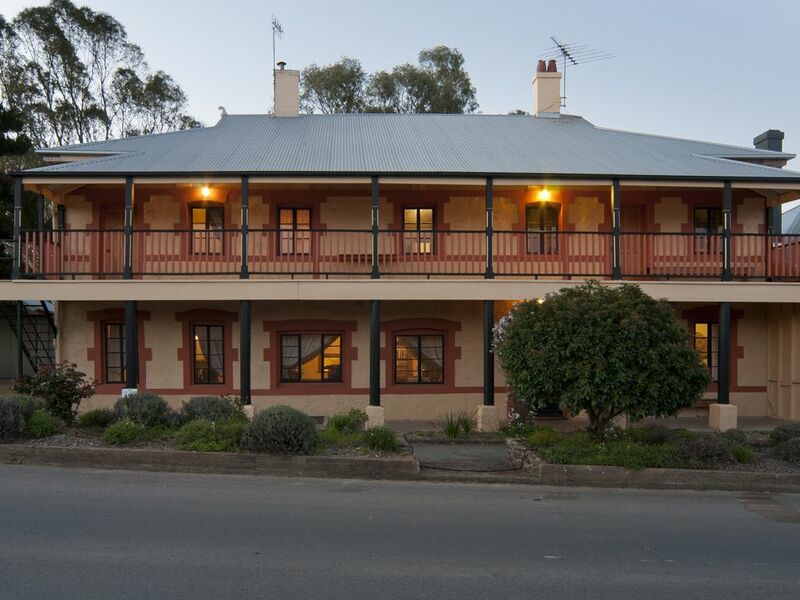 The home is only 200 metres to all of the wonderful amenities of Lyndoch with wineries, country pub, supermarket, bakery, restaurant, cafe, chemist and doctors all a short stroll away. We have lovely park areas, a bike path, public transport and many other activities to enjoy and the heart of the Barossa Valley is only 10 minutes by car. Your hosts are very experieced and provide many extras including a delicious welcome platter for all groups, toiletries, lovely linen and fresh flowers to truly make our guests feel special. ducted upstairs and two split systems downstairs. very spacious living areas with television, cable stations and DVD player with disks. 4 slice - pop up. large country kitchen with meals area and island bench. gorgeous garden setting, large outdoor table for 12 - 14.